I first saw this cozy by donut in an Etsy Finds email & I absolutely fell in love. 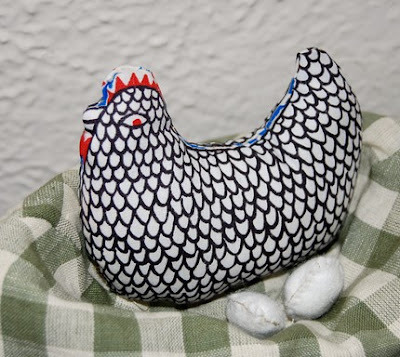 The little hen is so cute, nestled on top of the cozy with her eggs. There are only 2 or 3 left - get them while you can! How cute! 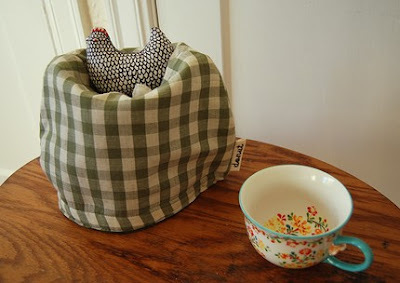 I need a new tea cozy! I may have to mosey over to her shop!